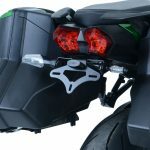 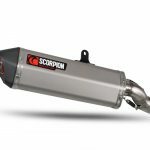 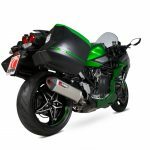 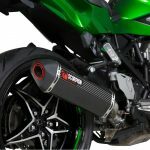 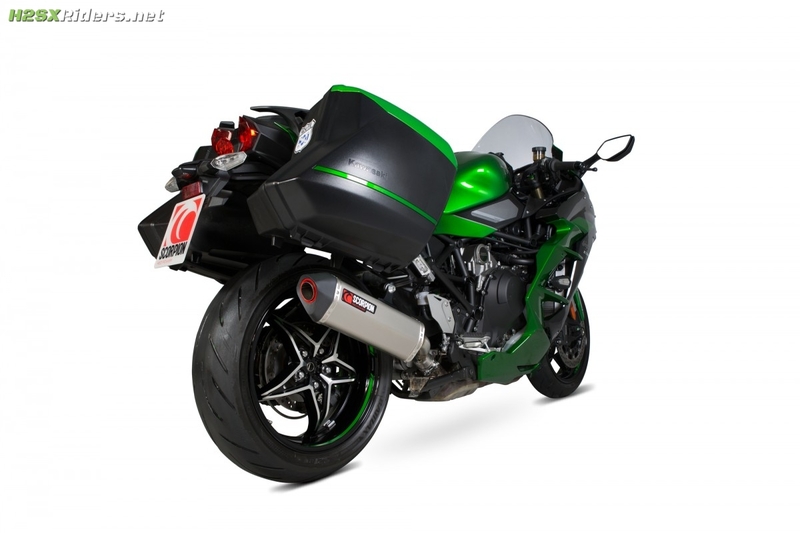 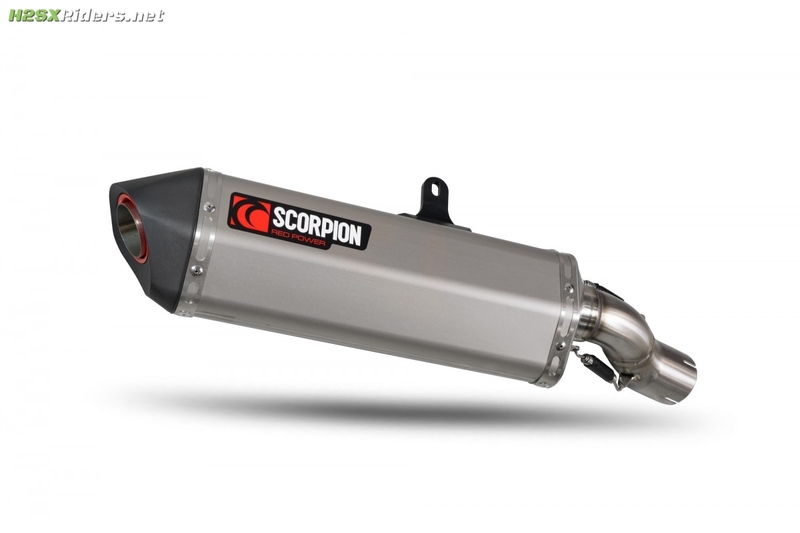 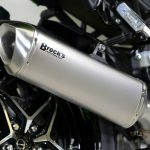 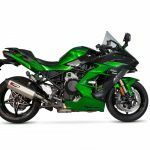 Scorpion’s “half system” (slipon) exhaust is currently available for the H2 SX. 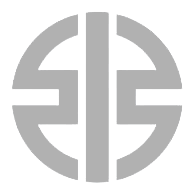 It comes in three flavors: stainless, carbon fiber, and titanium. 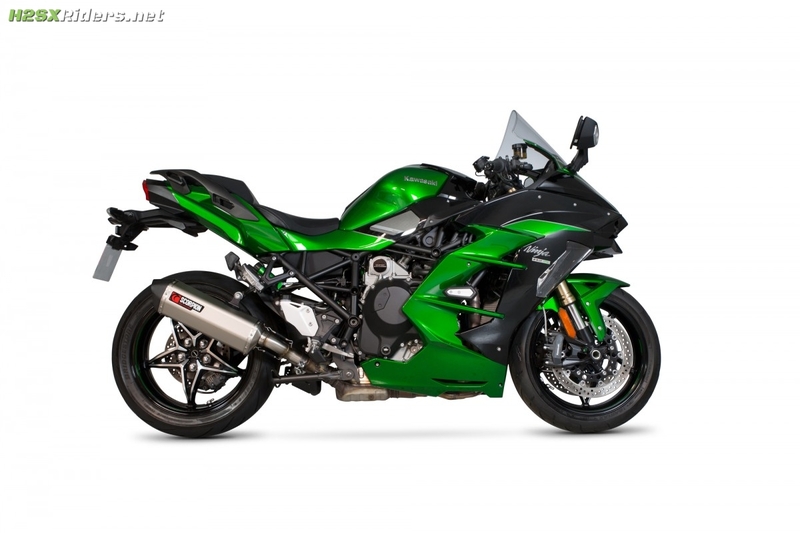 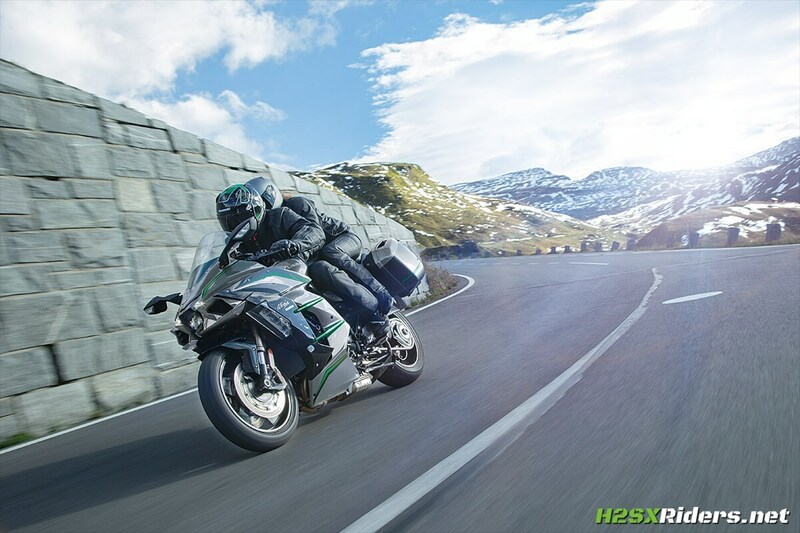 It boasts ever so slight gains in horsepower and shaves about 7 lbs compared to the stock exhaust canister. 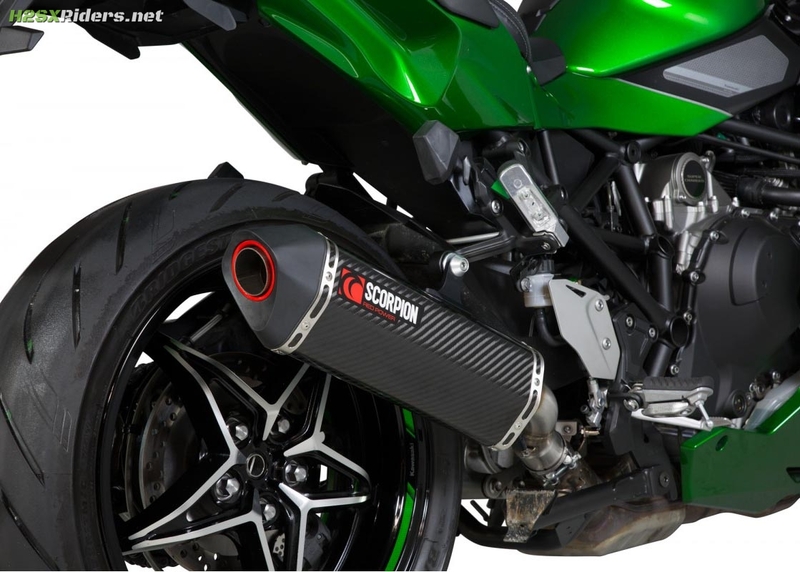 The exhaust is fully compatible with panniers (see images below).